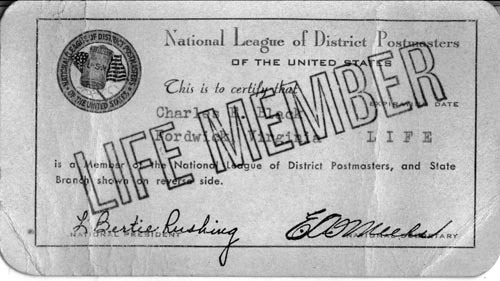 National League of District Postmasters of the United States, Life Member. 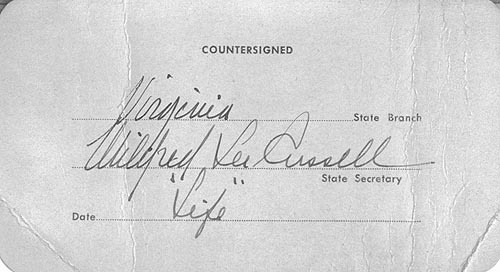 This is to certify that Charles E. Black, Fordwick, Virginia is a Member of the National League of District Postmasters, and State Branch shown on reverse side. Expiration Date: Life. Virginia State Branch. Date: Life. Are you looking for BLACK ancestors? If so, we suggest posting a query to our Community Message Board to get assistance from other researchers.